Are you looking for a place to call your spiritual home? Become a part of our welcoming community. Whether you’re single or partners; gay or straight; Jewishly involved or seeking Jewish connection; from an interfaith or a Jewish home; join us…and welcome home! 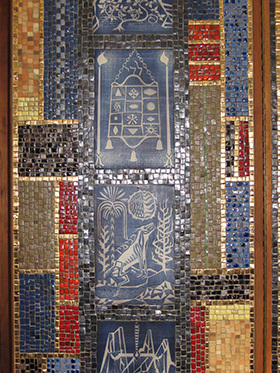 Temple Beth Am is a member of the Union for Reform Judaism and subscribes to the tenets of Reform Judaism. One of the strengths of Temple Beth Am is the way in which people with diverse backgrounds and Jewish views join together to create a Temple Family. The purpose of Temple Beth Am is to foster learning, prayer, and community service. Interested in becoming a member? You can download and fill out a membership application right now.